Should we start with the death in Paris, on 29 July 2012, at the age of 91? Or with the birth, on the same day in 1921 in Ulan Bator (or Belleville, or Neuillysur-Seine, depending on who you ask)? We could start, perhaps, with the names, like a proper obituary or a wanted poster: Christian François Bouche-Villeneuve, alias Sandor Krasna, alias Hayao Yamaneko, alias Kosinski, alias Guillaume-en-Egypte, alias Sergei Murasaki, alias Chris Marker. We can make an educated guess as to the source of this last and most famous of his akas: for his collaboration with Alain Resnais on the short documentary Toute la mémoire du monde (1956) his credit is given (in English) as ‘Chris and Magic Marker’ – that most democratic of public writing tools, invented under the name a few years before, capable of writing on virtually any surface, perfect for making posters. (A single stroke of the Magic Marker carries us from 1956 to Parisian graffiti he photographed in 1968, and M. Chat’s street art in The Case of the Grinning Cat of 2002.) Under his nom de Second Life, Sergei Murasaki, he discussed the mark of Marker in 2008: ‘I chose a pseudonym, Chris Marker, pronounceable in most languages, because I was very intent on travelling.’ Marker, then, like Kodak – chosen with movement, many languages, and the world in mind. That Resnais documentary follows one book into the Bibliothèque Nationale and thence into the hands of a reader, and the book happens to be one of the Petite Planète series of travel books, a series founded and edited (1954–58) by Marker. ‘Not a guidebook,’ Marker promised, ‘not a history book, not a propaganda brochure, not a traveller’s impressions, but instead equivalent to the conversation we would like to have with someone intelligent and well-versed in the country that interests us.’ Perhaps, then, something like the letters Sandor Krasna sends from his travels to his unnamed correspondent (voiced with limpid calm by Alexandra Stewart) in Sans-soleil (1983). Marker did much of the graphic design and layout work for the series as well, and every cover was a different picture of a woman, some looking away and lost in their own thoughts, others gazing into the camera, reserved and enigmatic. In Remembrance of Things to Come (2001), Alexandra Stewart, speaking again on behalf of Marker, says of the work of Denise Bellon, ‘Being a photographer means not only to look but to sustain the gaze of others.’ ‘Have you heard of anything stupider’, she says, quoting a letter of Krasna’s from Fogo in the Cape Verde islands, ‘than to say to people, as they teach in film schools, not to look at the camera?’ There is a woman, gazing slightly off-camera, on the cover of the Petite Planète edition (#25) that has arrived for cataloging in the Resnais film. Her hair is in an elegant black bob, she wears a simple black garment; the book, its title announces, is a traveller’s guide to Mars. She is perhaps the first of Marker’s many characters who address us, unexpectedly, from the future. They look back on our present moment and, in doing so, transform it, as we now transform the past, our memories, our recordings. (‘I wonder how people remember things who don’t film, don’t photograph, don’t tape.’) In La Jetée, the time traveller explores Paris, an ordinary Paris in Marker’s 1962, now recast as an interlude of terrible preciousness because we know its fate – the ruined, irradiated post-nuclear wasteland. Paris is transfigured by what comes after, as a marriage is after the revelation of an affair, or Proust’s childhood by the maturation of his understanding and his heart. (Bellon’s 1930s’ photographs become documents of the imminent disaster, as well as instants of their time.) Sans-soleil gets its name from an unmade film, by way of the title of a Mussorgsky song cycle. In the movie Krasna plans and outlines in his letters, a single passage of Mussorgsky intrigues a traveller from the year 4001 to come back to visit us, the ‘Third Worlders of time’, so called because the flow of time is irreversible for us, a constant dispossession and forgetting. It is not so for those in 4001; they have ‘lost forgetting’, and the whole emotional vocabulary of our experience. He is one of the few who wants to understand our experience, the injustice of our condition – a temporal Che Guevara, Kransa writes. The future waits in the past, and the past is not merely preserved but alive, growing, changing, in the future: the actual, spatial Che discusses the role of the guerrilla in revolutionary politics, and we hear his farewell letter broadcast in the streets of Havana – body and voice of a man already dead, in Marker’s political masterpiece Grin without a Cat, laid out on a table in Bolivia. ‘We had to kill him, but to keep the head intact for identification purposes’, says one of the assassins. ‘Look at this face that has set itself forever in History’, says the news announcer, as the iconic image floats on the television’s phosphor dots. That transition from head to History is one of the recurring motifs throughout Marker’s work, how human bodies and human lives, the ‘fragile hands’, enter, or try to create, or are brutalized by the possibility of historical becoming. The heart of both Marker’s art and his politics lay in the future anterior, the knowledge that there is always an after, a next, which we cannot predict and which will change irrecoverably the value of what we have been and done. The ability to live with this and still act is the paradox from which his work draws strength – the fidelity to the labour of a better world, and the knowledge that the future is where we, now, will be fools forever. At least the post-apocalyptic Paris of La Jetée is comprehensible to us – the result of simian chest-beating, geopolitics, nuclear weapons – and the survivors, in their ‘empire of rats’, are a Second World War prison camp underground. But when the nameless prisoner travels forward, into the future, he finds a Paris in which everything we cared about is merely irrelevant. In the new city and new planet, veined like a leaf and striated like a quartz crystal, the four who meet him (one of them played by the photographer William Klein) ‘clearly reject these cinders from another age’ – which is to say him, the history and survival he represents, and the world he understands. They give him a cosmic source of energy to restart civilization and then they ‘close the doors of the future’. Given this attitude of humility towards the future, what are we to do now? For Marker, the task was to multiply the sources of memory, the juxtapositions and sortingout, the possibilities for historical utterance and documentation by all the participants. Rather than cinéma-vérité, as Roger Tailleur put it, he practised ciné, ma vérité, the local, provisional and personal work of truth. Hence his activities to spread access to recorded speech and to the means of film-making, for those who are spoken about but never get to speak. Much of this was direct, whether in documenting (Rhodesia, 1967; Kosovo, 2000) or in sharing tools and techniques: working with film-makers in Guinea-Bissau to analyse the editing of Potemkin (Flora Gomes was one of this group), or documenting the Bosnian refugees producing their own television news in the camps. ‘They had the tools and they had the necessity’ – as did the workers in the Rhodiaceta textile factory in Besançon, with whom Marker collaborated (as part of the cinematic collective SLON) as the Groupe Medvedkine in the late 1960s. Let the people who live it tell their story. They have the necessity; just give them the tools. 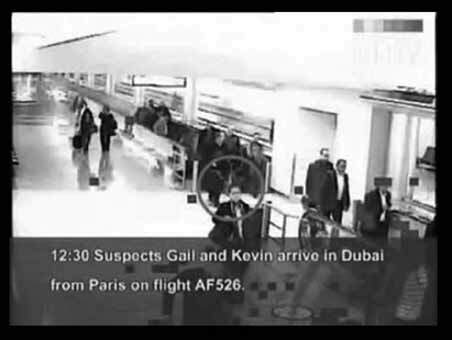 it’s the film produced by the Dubai State Security service, of found CCTV footage tracking the assassins on their way to kill Mahmoud al-Mabhouh in his hotel room. All Marker has done is change the soundtrack, adding the first three movements of Henryk Górecki’s ‘String Quartet No. 3’: the dark adagio as the team assembles, drifting in and out of shopping centres; the profound gloom of the second movement, as the circle inexorably closes and the doomed man goes to his hotel room under the watchful eye of the surveillance group; and the escalating frenzy of the allegro as the work is done and the killers scatter. His advocacy for tools and access included thoughtful technological adoption and engagement. He saw, at once joking but not (as in so much of his work), the legacy of Dziga Vertov in DV cameras, and explored the texture, thrift and secrecy of video, the aleatoric space of CD-ROM, the raucous public bazaar of YouTube, and the production of cryptic and quiet websites. (Many of his films are available on YouTube, including the entirety of Grin; some recent films and his CD-ROM can be found at http:/gorgomancy.net.) Films like Sans-soleil, Letter from Siberia and Sunday in Beijing feel like a one-person network culture well before the fact – not protobut post-Internet, a highly refined form of thinking and sensibility for a world rich in data, mediation and connection. ‘He claims’, ‘he’ being Hayao Yamaneko as quoted by Sandor Krasna (both men being Marker), ‘that electronic texture is the only one that can deal with sentiment, memory and imagination’; that ‘video games are the first stage in a plan for machines to help the human race, the only plan that offers a future for intelligence.’ He took up new technologies, however, always with an eye to what could be done by oneself, to keeping a certain independence. He held the notion of ‘naive informatics’, being a Douanier Rousseau of new media, a ‘Sunday programmer’, to avoid being instrumentalized by the presets and branding agendas of software companies. His willingness to try new methods and mechanisms was tempered, as well, by his sense of their past, of the ‘pre-historic state of film memory.’ Is there a contemporary film-maker who has produced so many silent movies? ‘Silent movies’ as they really were, because, as he points out, even the earliest silent films were never really ‘silent’: they were accompanied by striking musical juxtapositions and by live spoken narration, as with the benshi in Japan. (Kurosawa’s brother was a benshi.) Films like La Jetée and If I Had Four Camels reach back still further, to the narration of magic lantern slides, dissolving between still images to the sound of a voice. His very first cinematic production was made, after all, for the Pathéorama – a hand-held device in which a child would crank through a reel of stills from a popular film (Chaplin, Ben-Hur, Napoléon), eye up to the lens. Marker the boy fashioned his own Pathéorama tape with scissors and tracing paper, and drew out, still by still, the adventures of the cat Riri. About those cats: he loved their autonomy, their self-possession, their cryptic playfulness. ‘Compare their look’, he says of the grim grandees at the funeral of Pompidou (Nixon, Giscard d’Estaing, Willy Brandt, and thugs in epaulets), ‘with the clear look of a cat. … A cat is never on the side of power.’ The Minamata sequence in Grin – documenting the mercury poisoning produced by Chisso Corporation and the struggle for redress – opens with tape of neko odori byo, ‘cat dancing disease’, nerve damage caused by the tainted water. It is somehow one of the most harrowing moments in a history that includes the slaughter of the students before the Mexico City Olympic Games in 1968, the crushing of the Prague Spring and the Slánský Trial and the Pinochet coup, to say nothing of Vietnam. A being seemingly safe in a space of otherness, an emissary from a wild and unspoken world, has been forcibly enlisted into the terrible machinations of power, greed and politics. Marker closed Grin, in 1993, with footage of wolves being shot from a helicopter, and a promise, or a hope: ‘There are still some wolves left.’ There is an outside, which is another way of saying there is a future. This would not be a fitting eulogy for Chris Marker if it did not end with pleasure. In his militancy, his melancholy, his knowledge of what it means to long for what did not happen (what ‘we Germans call Sehnsucht, and we Brazilians saudade’), Marker never lost a feline sense of play, pleasure and delight. Pleasure, for Marker, offered a way into the luminous depths of the present moment, amidst a future and a past always in contingent flux. Let us not forget that Marker and Resnais, working on Statues Also Die in 1951, went every morning to catch the 10 a.m. showing of An American in Paris, for the dancing, the colour, the songs. Who else would make Grin but also produce, on his virtual island in Second Life, a ‘sofa cat’, relaxing in the sun with flicking tail, on whom Agnès Varda’s avatar could take a nap? Only someone with a vivid sense of the passing of time, the provisionality of the past and the future in which all is ultimately lost, could take the delight in small details and ephemeral moments that Marker does. His spiritual ancestors, women of the Heian court like Murasaki Shikibu and Sei Shonagon, had a term for this: mono no aware, the deep feeling over things, an empathy sharpened by ephemerality. That the person who was there, who met those stares, worked for that future, recorded that world, has now died only makes those feelings, those moments, that engagement more alive.